1936 Ford Slantback Sedan Resin Body by Mikes Miniature Motors. 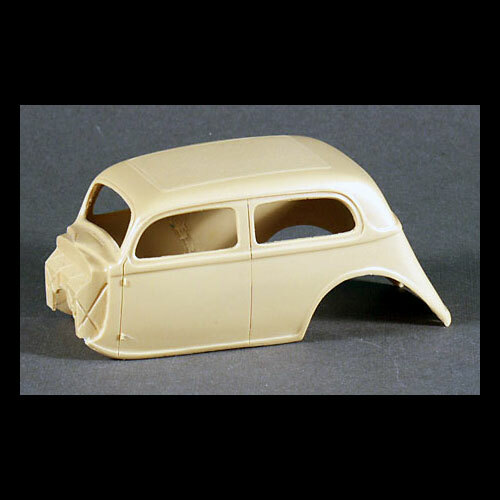 This 1/25 scale resin 1936 Ford slantback sedan body is an excellent casting. The rest of the donor parts can be obtained from an AMT 1936 Ford kit.